Modern Casual Restaurant Serving Local Seasonal Food. Fantastic evening, lovely atmosphere and the food was first class! First class meal and service as always. Excellent customer experience, lovely food and would definitely recommend this restaurant for a visit to anyone. Fantastic food, fantastic service, fantastic place.... what more can I say!!! Great food, drink and atmosphere. A mix up with the name of the reservation seemed to confuse the waiting staff but definitely will be back. Enjoy everytime we go! Food is amazing. Food was excellent service was excellent we’ll be back. First time visiting the restaurant after hearing such good reports. It did not disappoint. Food was amazing and beautifully presented. Service was fantastic. There was a trainee waitress who helped serve us and she did a great job under the helpful guidance of our other attentive server. Will highly recommend this restaurant and will be back soon. House white wine was delicious. 5 stars Dawsons!! 1st class restaurant very friendly staff. Excellent meal with choices for everyone. Great value and very tasty. Steak was excellent - rice pudding for dessert was perfect and really happy to see dessert wines now on the menu. Staff were excellent. We will return soon. Food was Absolutely delicious lovely welcoming atmosphere will definitely be returning. Staff were courteous and helpful. Completely faultless. 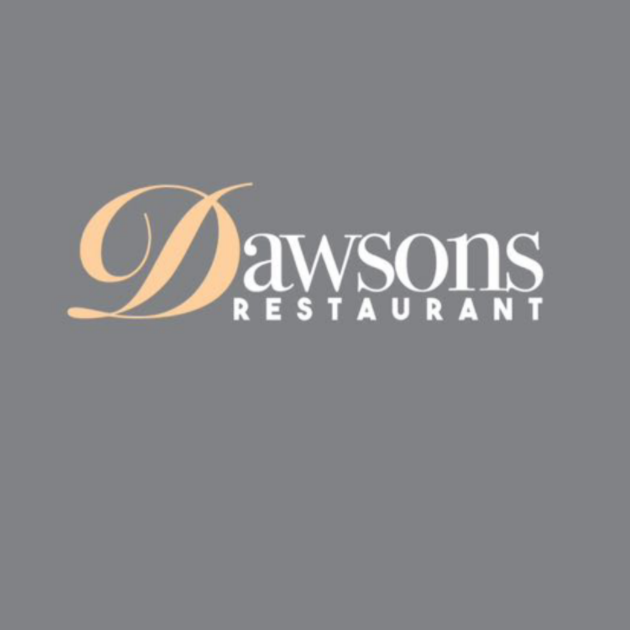 Consistently good dining and rapidly becoming a favorite of mine, Dawson's Restaurant provides an excellent menu choice, well prepared and attractively served which is both filling and flavoursome. Staff are attentive without being intrusive and the atmosphere is certainly warm and welcoming. Beautiful as always! Lovely night thanks guys! Food was amazing & so are the staff. Atmosphere food and service excellent. Well done all. We will be back! Staff were very helpful, attentive and friendly! Had a great night, couldn't ask for better in every way .